We are excited to announce orders are now being accepted for our Adapt Height Adjustable Panel System and our Hi-Chair and Hi-Stool seating solutions. 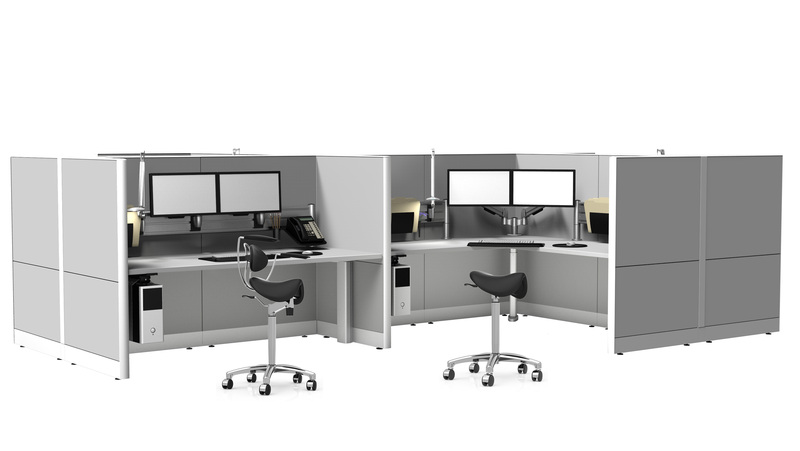 Designed for an open office plan, the Adapt Height Adjustable Panel System provides delineation of space, privacy between users, security of data, and electrical distribution tidiness. The system maintains a fixed relationship between employee and work environment. This system is fully customizable and can be set to the users’ preference. The horizontal channel in the Adapt Panel System allows the height adjustable legs to be positioned in each user’s desired configuration. The legs are integrated into the panel system, eliminating traditional support feet and beams, and thus, increasing the utilization of space. This provides comfort for employees, and increases their ability to properly store work related items. SpaceCo offers an extensive line of common components to retrofit existing workstations to height adjustable. With the advent of the Hi-Chair, employees will have a choice of whether to sit or stand. The Hi-Chair is a perfect solution for sit stand workstations in an office environment. Hi-Stool is designed for users in a manufacturering environment. For more information, visit the respective product pages on our web site.